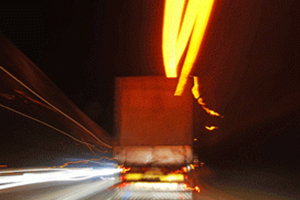 The Federal Government is inviting the heavy vehicle industry to submit proposals on how best to trial a user-pays system designed to fund upgrades to Australia’s road freight networks. The Business Case Program for Location-Specific Heavy Vehicle Charging Trials opens today, seeking industry-driven proposals with the overall aim of improving freight routes and eliminating pinch points. According to Federal Minister for Infrastructure and Cities Paul Fletcher, the business case puts stakeholders connected to the heavy vehicle industry at the centre of the infrastructure planning process. “We are inviting heavy vehicle operators to explore how they can help improve a particular route or network by paying a fair and equitable user charge,” the statement read. The Federal Government said work is also progressing with industry on designing options to trial the possible replacement of heavy vehicle registration fees and fuel charges at the national level, through the related National Heavy Vehicle Charging Pilot. Stakeholders connected to the freight sector are eligible to submit a proposal to develop a business case by 21 September this year. More information on the proposal process can be found here.